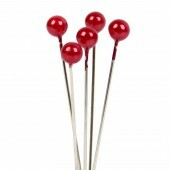 Hot Pink Pearl Top Pins Beaituful quality pins to help secure your ribbon to your boards. 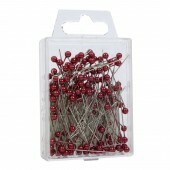 Pack..
Red Pearl Top Pins Beaituful quality pins to help secure your ribbon to your boards. 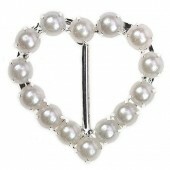 Pack cont..
Assorted Pearl Top Pins Beaituful quality pins to help secure your ribbon to your boards. 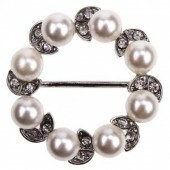 Pack..
Black Pearl Top Pins Beaituful quality pins to help secure your ribbon to your boards. 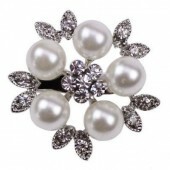 Pack co..
Diamante Pearl Brooch This Brooch has a collection of large six pearls around its edge with a lig..
Diamante Pearl Brooch This brooch contains a large central pearl with sets of smaller pearls and ..
Diamante Pearl Brooch Very pretty with its central sparkling diamante flower, five pearls and arr..
Diamante Pearl Brooch A simply stunning diamante crystal brooch which has a central gem with a cr..
Diamante Pearl Brooch The Lille is a really pretty vintage style wedding brooch. Size: Approx .. 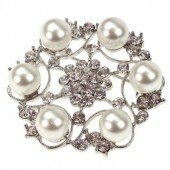 The St. Lucia Brooch The St Lucia has a beautiful clusters of diamantes and a central pearl it ha..
Diamante Venita Embellishment The Venetia is a flat-backed embellishment with a central 7mm pearl..
Diamante & Pearl Arco Embellishment Pearl and diamante lovers will be thrilled with this stun..
Diamante & Pearl Baroque Embellishment A central cluster of diamantes, like a mini flower, th.. The Bloomsbury Rose Each arching petal edge of the Bloomsbury Rose is accented with sparkling rh..
Celtic Knot Embellishment The Celctic Knot is perfect for those who are having a Celtic themed we..
Paris Brooch The Paris brooch has a large central pearl with a vintage feel. 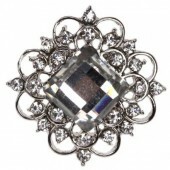 Size approx: 45mm..
Marseille Brooch The Marseille is a gorgeous diamante crystal rhinestone brooch with real '..
Chatsworth Brooch Stunningly beautiful The Chatsworth is a statement brooch. 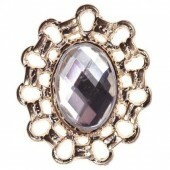 From a central c..
Mustique Brooch The Mustique is a really pretty vintage style brooch. 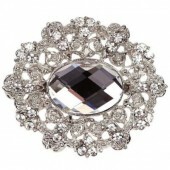 Size: Approx 45mm ..
Balmoral Brooch This beautiful oval shaped brooch with 5mm and 6mm rhinestones is a stunning acce..
Vintage Venice Crystal Brooch The Vintage Venice has a collection of sparkling rhinestone diamant..
Diamante Monet Embellishment The Monet has a large diamond like gem at it's center and is s..
Diamante St Etienne Embellishment This stunning rhinestone embellishment has a vintage feel with ..
Diamante Lumera Cluster embellishment This amazingly sparkly embellishment packs a real punch! W..
Diamante Bergen Embellishment The Bergen is a beautiful flat backed embellishment with a ce..
Diamante Marquise Embellishment The Marquise is a beautiful and dramatic filigree and crystal rhi.. 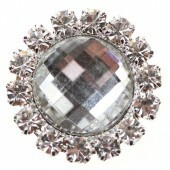 The Australis is a beautiful embellishment festooned with clear and aurora borealis crystals. Its ba..
Diamante Estella Embellishment The Estella is a sparkling embellishment with a central faceted di..
Diamante Filigree embellishment The Diamante Filigree is a beautiful filigree and crystal rhinest..
Silver Tesoro Embellishment The Silver Tesoro is a beautiful pearl diamante embellishment i.. The Waterford embellishment makes a real statement, with a large central rhinestone of around 1cm su..
Auralia Diamante Embellishment When only the most uber sparkly embellishment will do then the 'Au..
Diamante Angelique embellishment The Angelique is simply gorgeous consisting of three large diam..
Gold Estella Embellishment The Gold Estella is a sparkling embellishment with a central fac.. 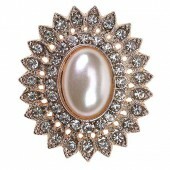 The Gold Nouveau Brooch has an Art Deco feel to it Size: approx 55mm x 23mm ..
Gold Zabra Embellishment Embellishment with a sparklig center gem and a decoratve metal surround..
Gold Valentina embellishment This super pretty diamante and pearl embellishment is perfect for ad..
Gold Izzy Embellishment Beautiful diamante design. With a flat back it can be simply attached.. The Gatsby is a feast to the eye! 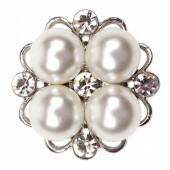 The intricate, circular themed design has interlocking, gem encrus..
Rose Gold Diamante & Pearl Izzy Embellishment Diamante mbellishment with a beautiful dia..
Rose Gold Tesoro Embellishment The Rose Gold Tesoro is a beautiful pearl diamante embellish..
Rose Gold Nouveau Embellishment The Rose Gold Nouveau Brooch has an Art Deco feel to it. 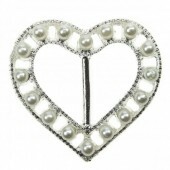 ..
Diamante Vienna Embellishment The Vienna is a simply stunning vintage pearl embellishment, perfec..
Rimini Embellishment The Rimini measures 3.5cm along each side ouf the outer triangular edg.. 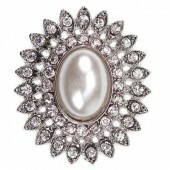 The St Moritz is a lovely diamante, crystal rhinestone embellishment with a beautiful symmetrical de..
Bonita Crystal Embellishment The Bonita Pearl Embellishment is covered in an array of small..
Diamante La Reine Embellishment Wow, what a beauty! A gorgeous heart themed embellishment c..
Diamante Eros Heart Embellishment Eros Heart Diamante Embellishment containing three diamantes in..
Stephanotis Embellishment The Stephanotis is a beautiful and popular wedding flower and this stun..
Diamante Snow embellishment This beautiful rhinestone crystal embellishment is just perfect for ..
La Plume Diamante Embellishment A beautiful delicate and pretty feather designed sparkling diaman..
A magical & sparkling diamante embellishment, the Mariposa is a 'fairy like' butterfly with a bo.. 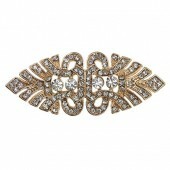 The Filigree Butterfly has a collection of sparkling rhinestone diamantes in a vintage filigree styl.. The Carina is a simply stunning diamante embellishment perfect for those who wish to create a contem..
Diamante Fleur De Lis embellishment Size: 38 x 34mm Attach with a dab of royal icing. .. 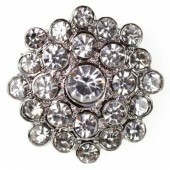 Minute Crown Brooch The Minute Crown has a collection of sparkling rhinestone diamantes. Size:.. This lovely birdcage with its heart motif is a lovely embellishment. 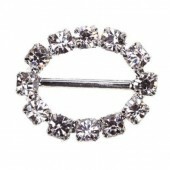 It also has a little top loop f..
Mira Bow Diamante Drop is a beautiful diamante crystal rhinestone embellishment that has a delicate .. The Cassandra diamante enclosure has a large 2.5cm diamante cluster containing a central 0.8cm stone..
Diamante Pearl Drop A Diamante Pearl Circle with the addition of a pretty pearl teardrop! .. 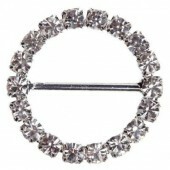 The Apollo diamante and pearl enclosure has a large 2.5cm diamante and pearl circle connected to a s..
Diamante Ribbon Buckle To use the rhinestone ribbon buckles simply thread your ribbon through the..
Pearl & Diamante Ribbon Buckle To use the rhinestone ribbon buckles simply thread your ribbon.. 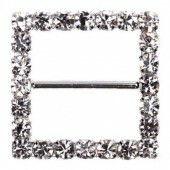 The Pirouette Buckle A beautiful delicately detailed buckle with overlapping, prettily embossed m..
Square Diamante Ribbon Buckle To use the rhinestone ribbon buckles simply thread your ribbon thro.. 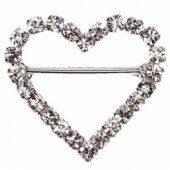 Oval Diamante Ribbon Buckle To use the rhinestone ribbon buckles simply thread your ribbon throug..
Heart Diamante Ribbon Buckle To use the rhinestone ribbon buckles simply thread your ribbon throu..
Bonnie Pearl Heart Buckle To use the rhinestone ribbon buckles simply thread your ribbon through ..
Pearl Heart Buckle To use the rhinestone ribbon buckles simply thread your ribbon through the buc.. 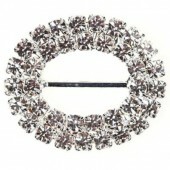 The Diamante Gem Circle has two rows of diamantes surrounding a diamante embellishment. With a fl..
Diamante Gem Circle The Diamante Gem Circle has a row of diamantes surrounding a diamante embelli..
Diamante Pearl Circle Duo The Diamante Pearl Circle has two rows of diamantes surrounding a..
Diamante Pearl Circle - Dusky Rose The Diamante Pearl Circle is a lovely pearl and crystal rhines.. 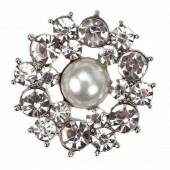 The Diamante Pearl Circle is a lovely pearl and crystal rhinestone embellishment. With a flat bac.. 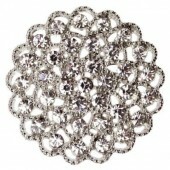 The Windsor Embellishment Size: Approx 20mm x 15mm Attach with a dab of royal icing. ..